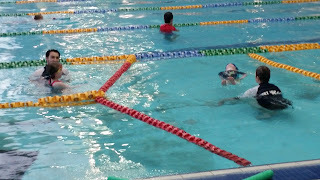 Raising My Little Superheroes : Swimming day! Saturday morning is swimming lesson time at our place. The very first time we took O to the pool for swimming lessons, L took off and jumped into the pool at the deepest part and promptly sunk to the bottom. After we fished him out, he started giggling and wanted to do it all over again. 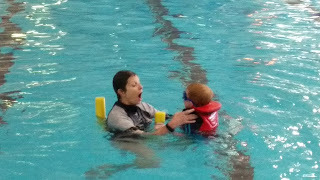 It was at that point we decided that L had to learn how to swim and learn some water safety skills. The boy has no fear, at all. We've been incredibly lucky to find not only a great swimming centre but also wonderful swimming instructors. We've tried group lessons for both little superheroes, but they really didn't cope in that environment, so private lessons it is. 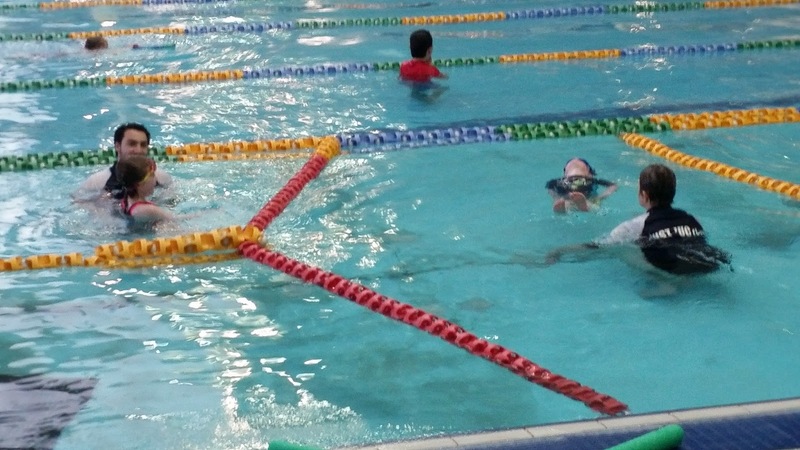 Our routine for swimming is that we get to the pool about 15 minutes before their lessons start so that both little superheroes can have a splash in the pool beforehand. 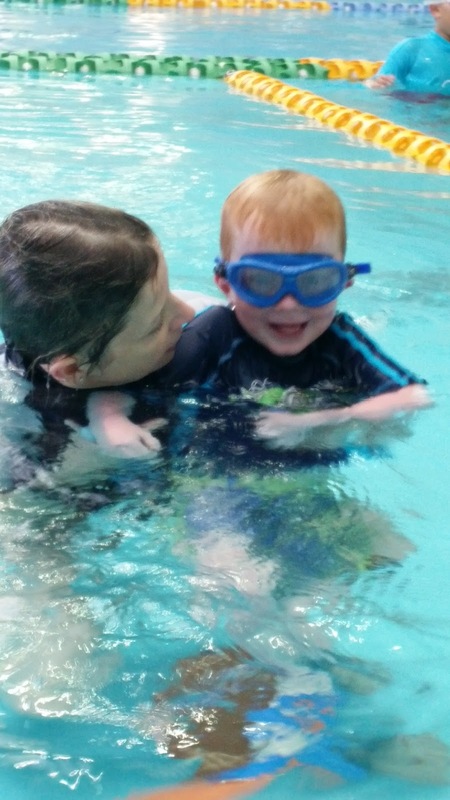 It gets them both in a great mood for swimming and gets L used to the noise of the swimming centre before he has to start concentrating. Both little superheroes use up a little energy playing beforehand which seems to help them concentrate better during their lessons. 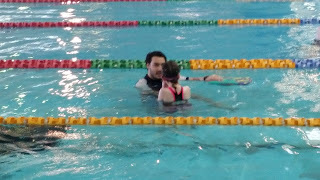 O's instructor cottoned on very early into her lessons that he needs to be very specific with what he asks O to do. O has tried to swim 10m without breathing - "but you said swim!" 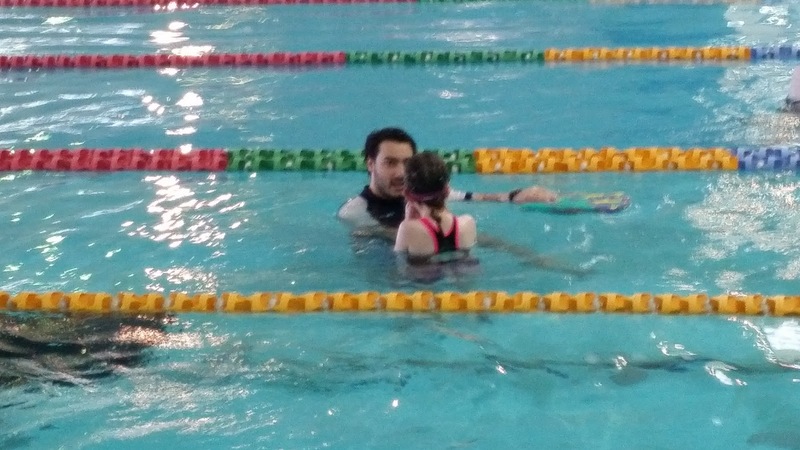 There's usually lots of giggles from both O and her instructor during her lessons, especially when she manages to fold herself in half while doing survival backstroke! 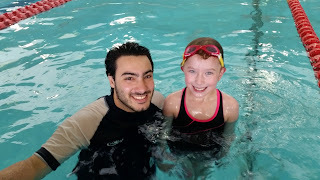 She has come along so far with her private lessons and she is so much more confident with her own abilities. L's instructor is absolutely fantastic at keeping L's focus during his lesson. He is literally jumping for joy when he spots her across the pool and can not wait to get into the water. 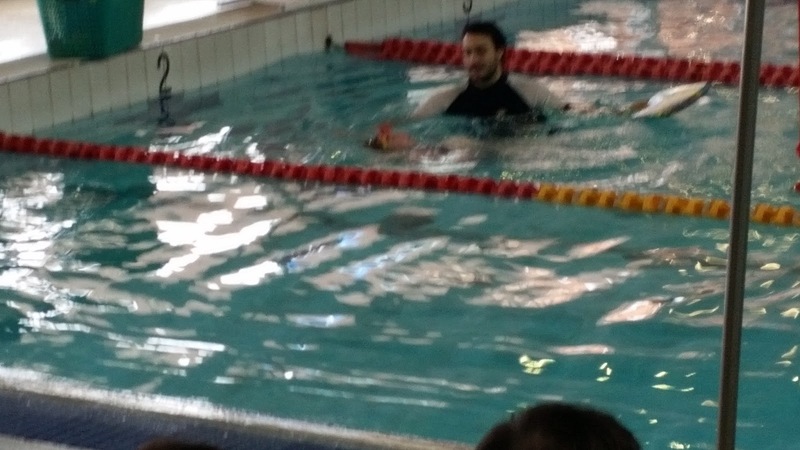 Today L's instructor took him into the deep wave pool. They had a ball, until the waves were turned on. L said to his instructor "well this is weird!" 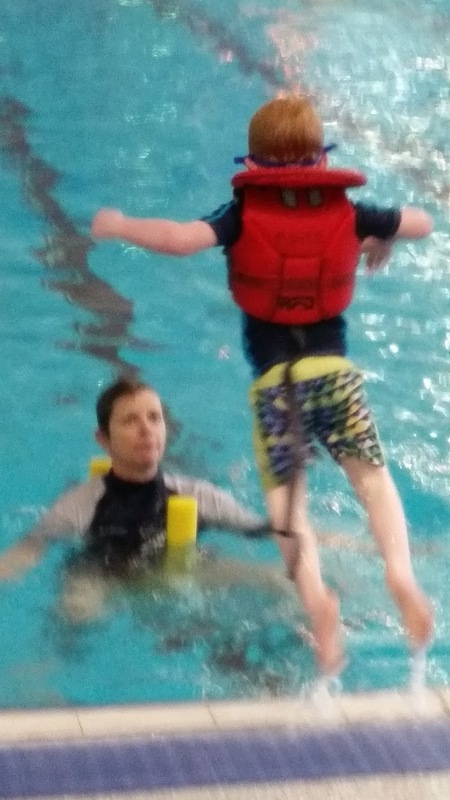 His instructor said it was good for him because L has now figured out his limits in the pool. With the help of his instructor, L has passed several levels just in the last 6 weeks. 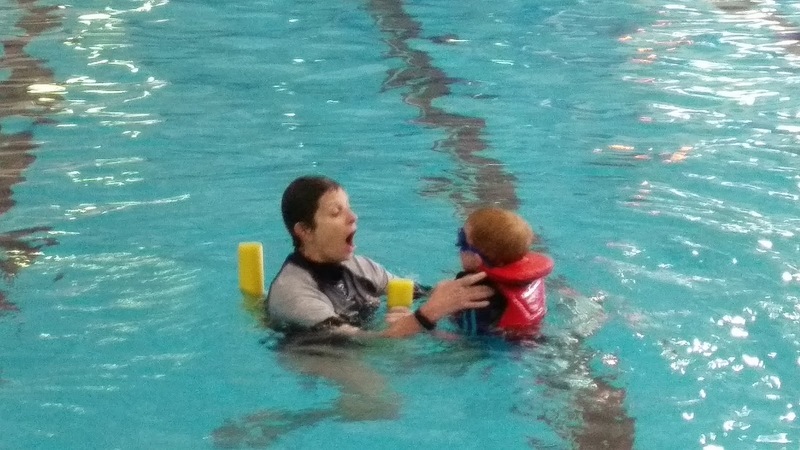 So thank you so much to both L's and O's instructors and all the other swim school staff who have taught both O and L. You are all doing a wonderful job and thank you for being patient and understanding with both my little superheroes. Swimming lessons have become a very enjoyable experience for them both.